1st Male Team. Conan McCaughey, Conal McCambridge, John Black, Philip Goss, Gareth Lyons, Joe Malone. 2nd V60 Male Matt Shields at the Two Oceans Ultra Marathon in South Africa (34.8 miles) in 4:30:45. 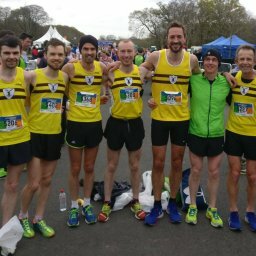 Bobby Rea, Comber Cup and McConnell Shield Male Team Wins.